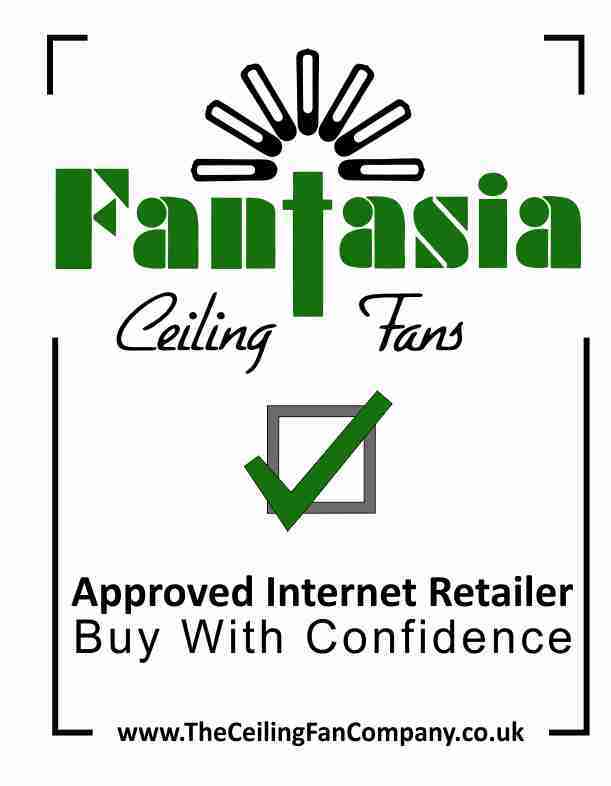 Fantasia's remote control system operates the 3 fan speeds and the on/off/dim function of the light, giving you complete control of your ceiling fan from the comfort of your armchair. This remote controller comes complete with a wall mountable holder and 12v battery. Standard twin and earth wiring (live, neutral and earth) is required. It can also be used to control the fan speeds only on models without a light kit. 2 year manufacturers warranty. The receiver unit of the remote control fits into fan bracket at ceiling level and is hidden by the rose canopy. 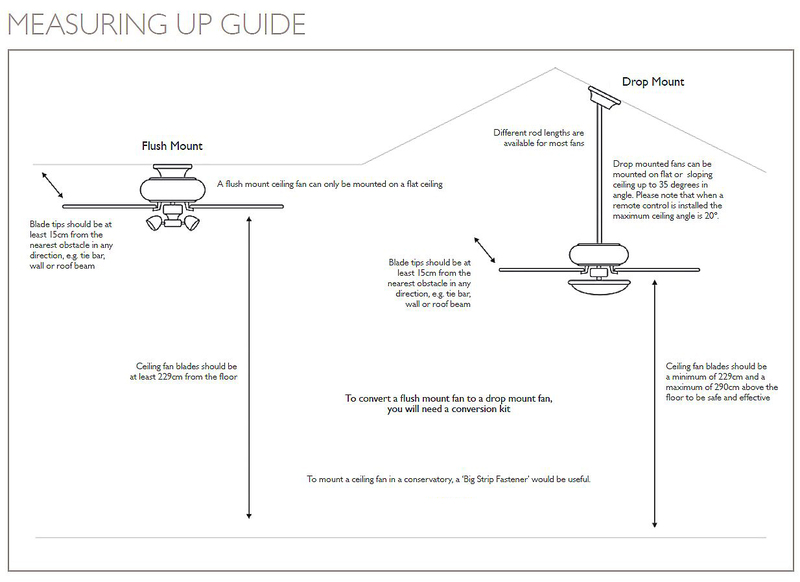 A remote controller can be fitted at a later date to an existing ceiling fan that is already installed. Brought as a replacement for the Fantasia Remote Control receiver that stopped working in our Fantasia ceiling fan. Receiver was easy to fit in the fan, and the remote control was already set up. Everything worked first time. We were impressed with The Ceiling Fan Company. We ordered the remote controller and it arrived two days later. Thanks! The remote control is perfect. We moved house recently and left our two fans and remotes for the new people. We had to have a fan in our new bedroom and of course a remote to go with it. Easy to fit and use. I have 3 fans all installed with a remote control and receiver. One receiver stopped working after 4 years, so I had to buy the pair instead of just buying the receiver .. just saying. When buying a fan with the option of R/C the receiver fits into a space in the bracket holding the fan.Therefore its easier to fit the wires. One of my fans is older (the one I needed a new receiver for) so the receiver and wires have to be got into the ceiling cover. However its no great problem. Quick service and delivery. Easy to fit and works no prob. Bought this as a replacement for one fitted to a Polar Fan. Fitted OK inside existing fan and set up simple and worked first time. Simple one button press for fan speed, but no display as the instruction read. Polar fan remote lasted 7 years, hopefully this will last longer. Our Fantasia fans are several years old, still working as good as ever. The remotes we bought with them, not so good. One packed up after about a year, the other one fell to bits and is held together with tape and works when it feels like. e to feed the aerial piece through, so had to drill a hole. Then it was a problem trying to keep the remote piece in place while the very long wires were all coiled up and put in the ceiling piece whilst trying to replace the cover. Took many hours, tape to hold the remote in place and getting everything in the right place so that it could be put together. I have only done one so far, plucking up the energy and courage to attempt the other one. Now it is up and running, it's great. Only just installed and appears to be working perfectly. Click the button below to add the Remote Control to your wish list.